Heartland Marine & Motorsports is an authorized Tohatsu dealer. Click here to view Yamaha outboards! If you're looking for something to do, click here to check out our list of upcoming events! 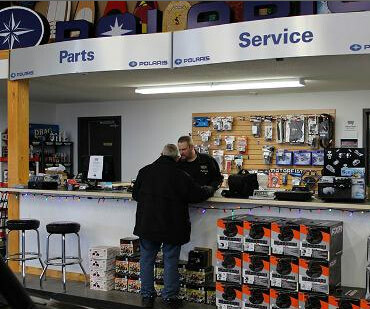 Welcome to Heartland Marine & Motorsports, where the variety of powersports & marine products is second to none. We're happy to help you find the perfect recreational vehicle, generator, outboard motor, boat, or the parts you've been looking for. Check out our catalogs to see what we have. If you need help in making your selection, call or stop in—we're always ready to help! We are family-owned and operated and conveniently located in Erskine, AB. Heartland Marine & Motorsports can provide you with the latest and best in powersports & marine products to make your outdoor experience more enjoyable. Stop in today to check out the 19' Orv line up from Polaris! Blow Out Deals On ARO Platform Timbersleds, 2018 Axys sleds. Check Out the all new 2019 Ranger 1000Xp In Stock NOW! Also Now On Display 2018/2019 Pontoons, Inflatables, Alum fishing boats and Yamaha/Tohatsu outboards, Call for details! Heartland is also the Canadian Distributor for Skisaver revolutionary sled transport wheels for your skis you can drive with. Call for details New Dealers Wanted www.safedriving. See for more info. Warning: Polaris off-road vehicles can be hazardous to operate and are not intended for on-road use. Drivers must be at least 16 years old with a valid driver's license to operate. Passengers, if permitted, must be at least 12 years old. All riders should always wear helmets, eye protection, and protective clothing. Always use seat belts and cab nets or doors (as equipped). Never engage in stunt driving, and avoid excessive speeds and sharp turns. Riding and alcohol/drugs don't mix. All riders should take a safety training course. Call 800-342-3764 for additional information. Check local laws before riding on trails. ©2016 Polaris Industries Inc.